AMR Performance Special Features now released! 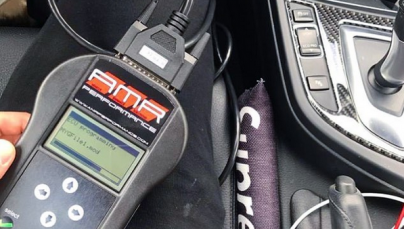 Home › Sport › Uncategorized › AMR Performance Special Features now released! We work hard to give you the highest quality, power and driving experience with our ECU Software Upgrades (tunes). Our engineering department and developers have been hard at work developing what we call our exclusive “Special Features” options. These engineered special features are another example of what separates us from the average “tuners”. Giving your vehicle the ability to do more than what the factory intended and what standard tuning can not offer. To have the ability to purchase these new “Special Features“, must purchase our RV3.1 ECU Software Upgrade (tune) or already have our RV3.1 ECU Software Upgrade (tune). What are these Special Features? What is ON/OFF Start-up Burble Mode? What is Full Burble Mode? Full Burble Mode is a lot of fun and enjoyable. Instead of just having “burble” at full throttle or heavy load, you can now have this feature when driving in low, mid or high RPM. This special feature is quite unique. When in neutral or park, giving the vehicle full throttle (WOT) the factory slows the RPM down and limits the RPM at 3500/3800rpm. Making the vehicle stop at that point. Not being able to give a full “rev out” of the engine. Our 2-Step Mode extends this to 4500-4800rpm as well as giving the popular “2-Step” sound and function. What is Rolling 2-Step Mode? This special feature is a lot of fun. When driving the vehicle, you are able to put the vehicle into neutral, while rolling, full throttle the vehicle and it will initiate 2-Step Mode. Designed for those who like to show off and do that slow roll by. What is Burn Out Mode? Burn Out Mode allows the vehicle to do a full burn out. Smoking the tires and creating that fun rear wheel drive feel. You are able to hold the break and feather the throttle. What is Launch Control (boost off the line)? Launch Control/Boost off the line (BOTL) special feature is nothing new to us. We included this feature with our release of our RV3.1 ECU Software Upgrade. Gives you the ability to launch the vehicle in boost as suppose to flat punching the car. We are able to build torque and boost while the vehicle is at a stand still. Those who already have the upgrade have been enjoying your 3.3sec – 3.4sec 0-60 times. We put together a quick simple video showing these special features. Video consist of a couple of customer vehicles C450 & C43 AMG.